Explore the wonderful and fascinating world of wine as seen and enjoyed by South African golfer Ernie Els. Through his many travels around the globe Ernie has been exposed to and appreciated some of the world’s greatest wines and in 1999 decided to pursue his developing passion for fine wine with the creation of Ernie Els Wines. Ernie fittingly chose Stellenbosch, the noble heart of South African wine to base his operation. 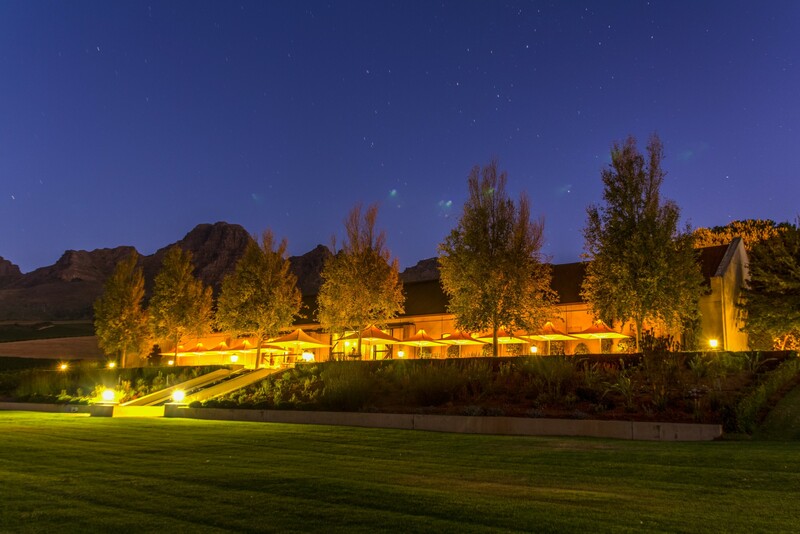 Welcome to Ernie Els Wines! While men may dream different dreams, they are driven by the same quest: to reach for, and to accomplish perfection. No two pursuits bare the truth of this more than the perfect round of golf and the perfect bottle of wine. Ernie’s life has mirrored a passion for excellence, which has been clearly reflected in his exceptional sporting achievements. His focus, discipline and commitment have been the foundation of his success, and these factors are evident in Ernie’s quest to produce premium wine. With the help of award-winning winemaker Louis Strydom, they produced the maiden, 2000 vintage of Ernie Els – a ‘classic’ Bordeaux blend. The marketing synergy between the wine and Ernie’s ‘classic’ golf swing were apparent. The intention from the outset was to focus on delivering a quality product that could hold its own in the company of the world’s finest wines. Since its launch, Ernie Els Wines has won plaudits and many prestigious awards around the world and the team continues to make a big impact on both the South African and international wine markets.